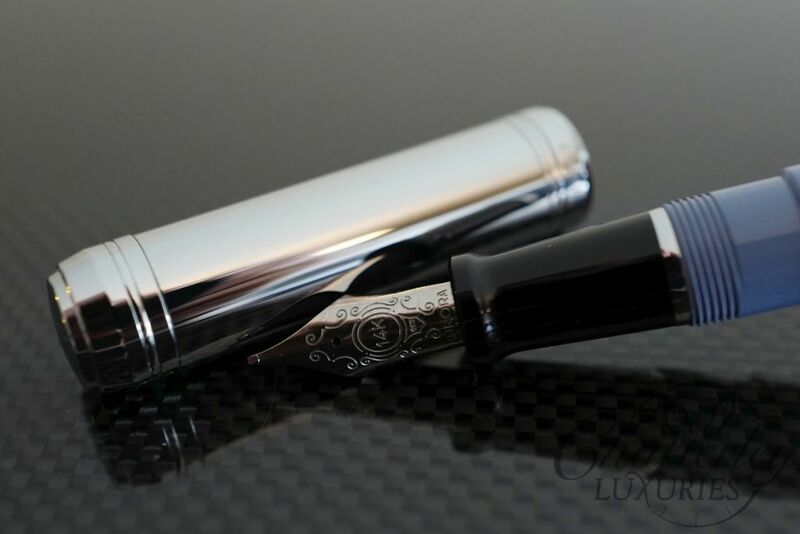 The body and cap are made of grey blue resin complemented by Chrome. 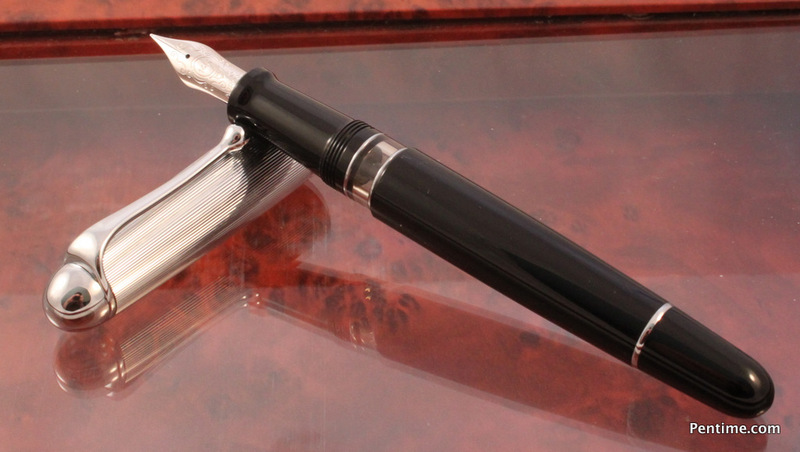 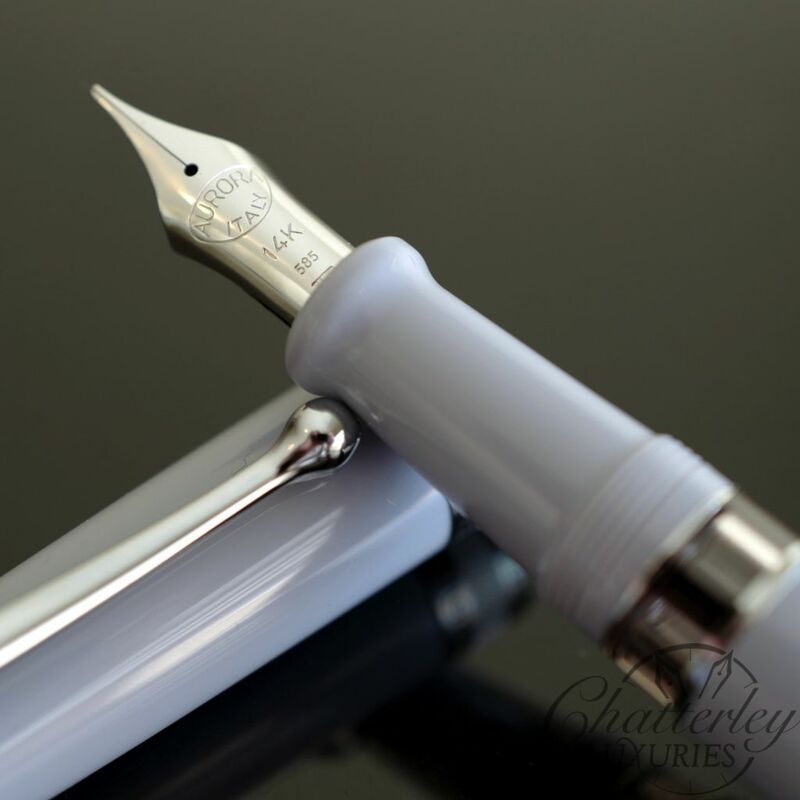 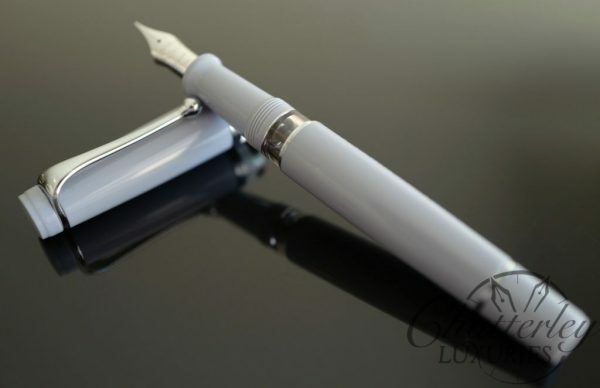 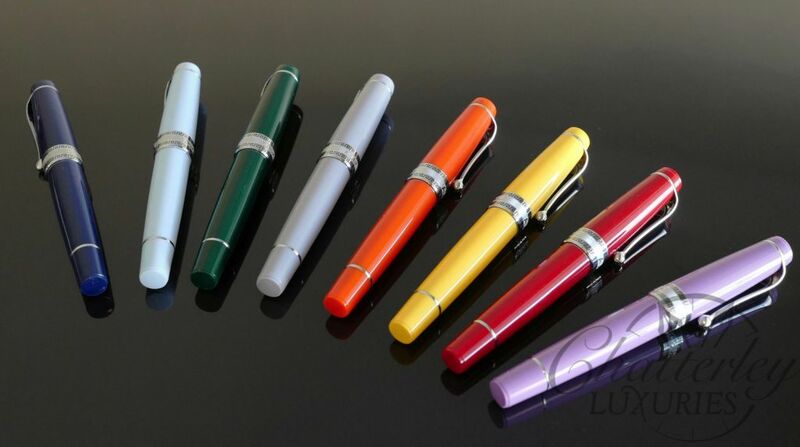 This pen employs a piston filling system and houses a 14k gold fine flex nib. 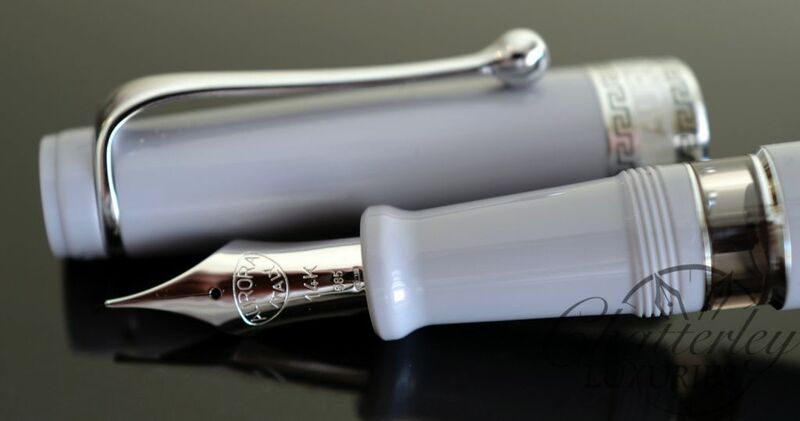 The entire pen is made in house at Aurora, including the nib.